As hostesses for the nation and the presidential administrations, first ladies have offered warm welcomes to White House visitors, including heads of state, diplomats, members of the cabinet and Congress, and honored guests. Each reception or dinner is an opportunity for the first lady to help build America’s international relationships, win political friends for the president, or further his administration’s legislative agenda. In this most traditional of their roles, first ladies strive to emulate Dolley Madison, the “republican queen,” famed for her elegant and politically productive parties. 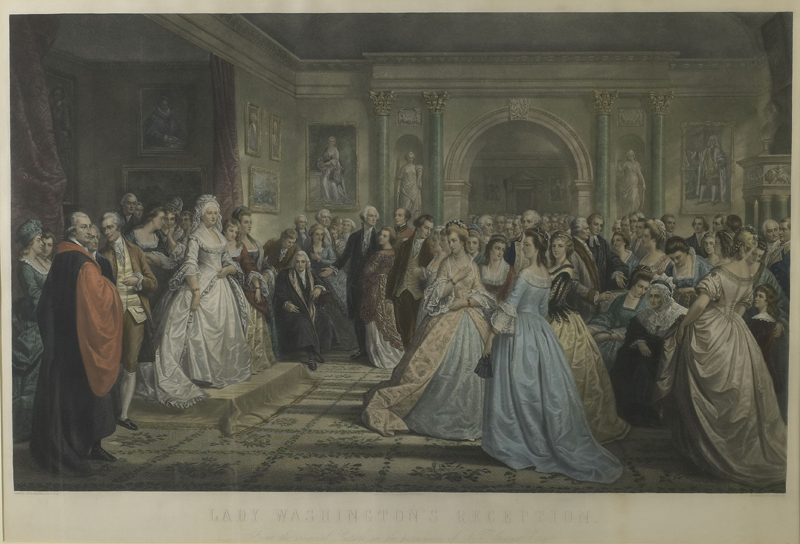 Martha Washington hosted weekly dinner parties with her husband and held Friday evening receptions where the president was a guest. She attempted to establish a dignified social style, formal but not “royal,” that would command respect for the new republic. This set a precedent for future presidential entertaining. With varying degrees of formality, first ladies since then have each set the official style for the White House. First ladies have been responsible for making the diverse groups who come to meet with the president feel welcome. 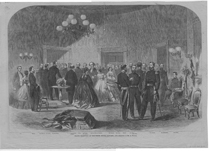 In 1870, Julia Grant hosted an evening reception for a delegation of Native Americans. 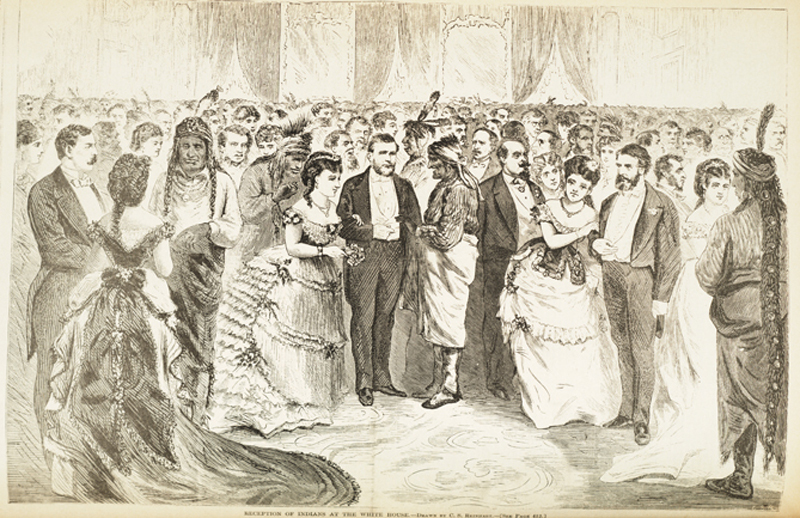 As reported by the magazine Harper’s Weekly, the friendly event created goodwill, with the visitors and the Washington dignitaries enjoying the opportunity to meet and satisfy their curiosity about each other. White House entertainments are political as well as social events. They are chances for politicians to build alliances and resolve differences in a relaxed atmosphere. Mary Lincoln used elegant dinners and receptions to try to strengthen the influence and authority of the presidency. Visits by foreign heads of state can give the first lady a chance to shine as a diplomat as well as a hostess. Nancy Reagan entertained foreign leaders at fifty-five state dinners. 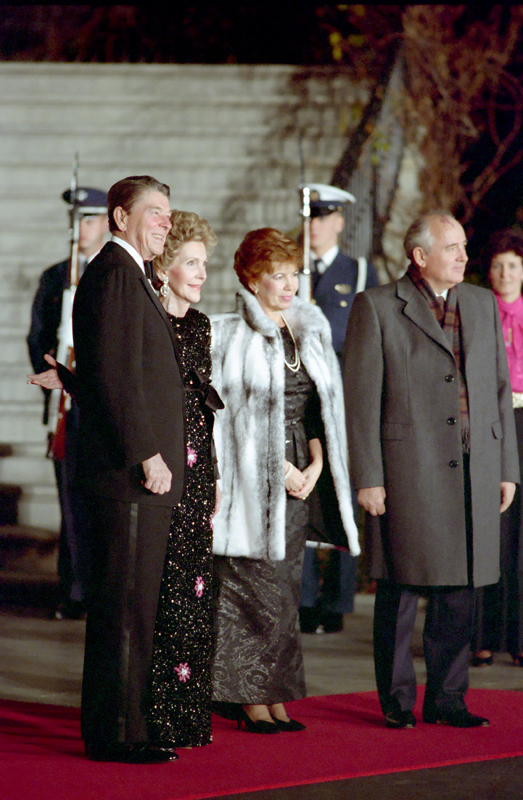 The elegant state dinner she planned for Soviet general secretary Mikhail Gorbachev provided a celebratory end to a Washington summit and the signing of the 1987 Intermediate-Range Nuclear Forces Treaty.